It’s March Madness again, which means that CEOs everywhere will be gnashing their teeth at the thought of all that lost productivity and payroll. 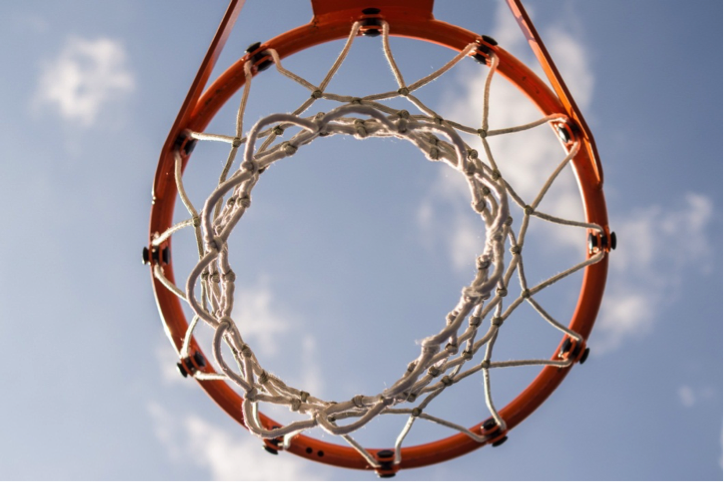 But while employees are sure to spend a little more time poring over their brackets, that doesn’t mean businesses can’t extract a little value of the college basketball tournament either. Most of the top professional sports are team sports, but no sport exemplifies and rewards solid team play more than basketball. With only 5 players playing per side at any given time, it really places an emphasis on how those 5 communicate and interact on the court. Done well, there might be nothing more beautiful to watch in sports than the perfect pass to an open teammate. Similarly, well-honed marketing strategies emphasize collaboration among different channels and stakeholders. There is a tendency sometimes, particularly in bigger sized companies, to compartmentalize and focus on just one thing – Paid Search, Social, User Experience, SEO – without having an understanding of what the other stakeholders are doing. So long as the one stakeholder is doing well with THEIR focus, they’re not necessarily concerned with other divisions of the marketing team. This can mean wasted or duplicated effort, resources and MONEY. It’s a lot easier to steer a boat when everyone is rowing in the same direction. Even random and unplanned moments of collaboration can improve company-wide performance and ROI from marketing efforts. Keep the chatter up and start talking more. 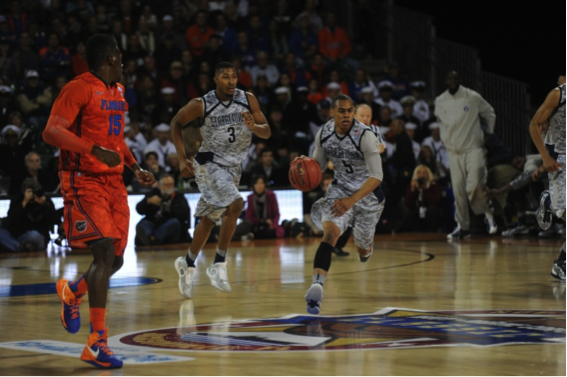 A basketball player on offense stops running to anchor his feet firmly to the ground – he’s setting a screen. His teammate dribbles in the direction of his screener and causes his defender to have to move around this newly erected human wall. The extra lateral movement of the defender means he’s now behind the dribbler and giving up space, so one of HIS teammates moves over to help. But in doing so, he abandons his man. A player on offense is now wide open, and the dribbler passes him the ball. The open man shoots and scores a basket. Now, who should get credit for the points? The box score will show a basket made by the shooter and an assist by the passer, but it won’t show anything about the screen, which setup and initiated the entire play. We can all see there’s value in what the screener did, but how much? How we do attribute value to a player who never even touched the ball? Value attribution is serious business in sports and every high level team is sure to employ at least one or two data analysts to help answer these questions. Call it the Shane Battier problem. Similarly, digital marketing also faces a fundamental value attribution problem. Simply put, most sales or conversions online occur after a customer visited the website or interacted with the Brand via TWO or more digital marketing channels. For example, a visitor finds a Brand through organic search and before they leave the website, they subscribe to the email list. A few days later, they visit the Brand’s social media channels. Another few days and some email blasts later, a retargeted display ad campaign drives the visitor back to the website, where they finally complete the conversion and sale. Which channel gets credit for the sale? The last contact point with the customer? The first? The middle? And that’s just online – never mind more traditional offline marketing. Avinash Kaushik wrote extensively on exactly this topic over 2 years ago and not too much has changed since then: most of the commonly used attribution models in Google Analytics(and other comparable analytics suites) are deficient in one way or another and marketing teams should look to customize and hone their attribution models and abandon “out of the box” ones like First Click or Last Click attribution. People love a good underdog and March Madness offers an annual venue for them to shine on a national stage. Whether it’s the historic 1983 NC State Wolfpack or the more recent 2011 VCU Rams, everyone has their favorite “Cinderella” team that defied all expectations by competing (and winning!) against the big boys. What did most of these over-achieving teams have in common? They understood their strengths and consistently everaged them. When under the pressure and spotlight of some serious competition, they didn’t deviate from the plans and tactics that got them there in the first place. Similarly, we can find many examples of smaller “Mom & Pop’s” thriving against bigger and stronger Fortune 500 companies. They usually do this by leveraging the one or two things they do really well. Perhaps it’s video content, like how Dollar Shave Club became a household name with a single viral video. Or maybe it’s a killer social media team. Or just a solid, well-written content strategy. Sometimes in sportsthings don’t go the way we’d expect them to. 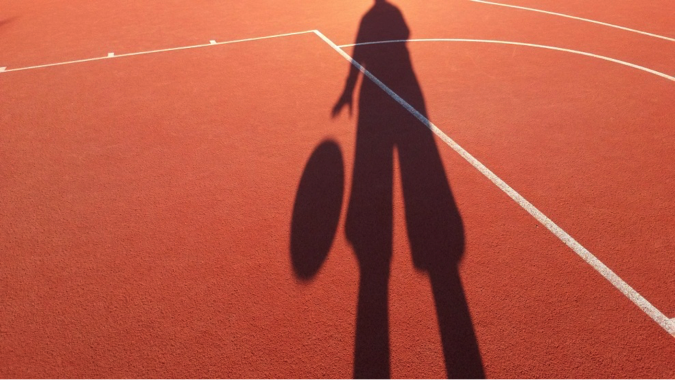 The ball rims out of the basket, the toe was just over the line, the clock finally expires. The thrill of victory is snatched away and it’s replaced with the agony of defeat. Your once-beautiful bracket is busted. The same thing applies to digital marketing. One day, you’re part of a content creation juggernaut, the next day your site gets hit by Panda. Or Penguin. Or perhaps the cost of competing in your favorite channel is poised to skyrocket and your already thin margins are going to disappear. Whatever it might be, we can’t entirely predict the future and we have to become comfortable with a certain level of ambiguity and randomness. That doesn’t mean we can’t learn from these things though. For every site burned by a Google penalty, may they finally open their eyes to other traffic sources. For every site owner who is content with an abysmal conversion rate, may they finally embrace User Experience. For every business convinced their product is too “boring” for social, may they find the enthusiasm to make it compelling. There is nothing wrong with making mistakes or from failing. The failure lies, however, in shrugging these teachable moments off and returning to the same habits that got you there in the first place. When marketing efforts go sideways, there may not be any ROI in terms of dollars, but you can definitely extract some hard earned SENSE. Remember that. Enjoy the tournament, folks, and see what other marketing lessons we might learn this year. May the best team win. As long as it’s not Duke. Hi Dan, you really have brought up good pointers here. I have learned many lessons from your post and I completely agree in your arguments. Really appreciate it man! 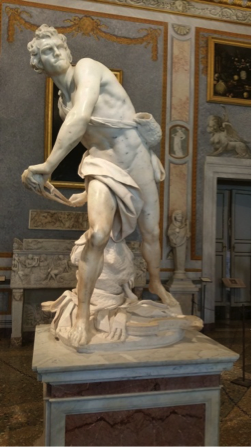 Really the only way a “David” can be a “Goliath” focusing on a niche. You’re not gonna be able to start a new general ecommerce store and directly compete with Amazon, however you could start the very best online flower pot store the world has ever seen and completely crush Amazon at selling flower pots! Hi!! Thank you for sharing this information, I want to improve my company’s website and all the content on it, the company explains how to make moccasins and wants to show how moccasins are worn in daily basis, anyway I want to make it more interactive, I was thinking to start from zero, create everything again and do it in an easier and more creative way. I did something similar in the past but didn’t worked as I expected, I read the all your article about it and you actually have quiet good points on it, it actually sounds like exactly what I’m looking for, so I think I’m going to follow your advises thou, I just have to clear my head with a couple of more things about what I need to improve so I can take start to make the cuts and have a final decision so thank you for sharing this advises!